Your glutes and legs are the biggest muscle groups in your body, so no matter how much you hate leg day, you’ve got to give your lower body some love. Here are our top 10 moves to build serious muscle in your legs. When we get older, muscle atrophy can happen. 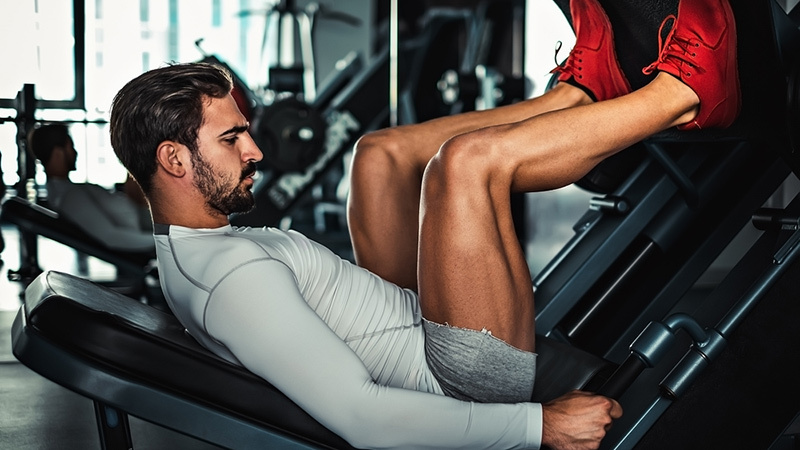 But a very recent study from Physiological Reports found that the anabolic resistance with leg presses can boost muscle protein synthesis within two weeks of doing low-load leg presses three times a week. 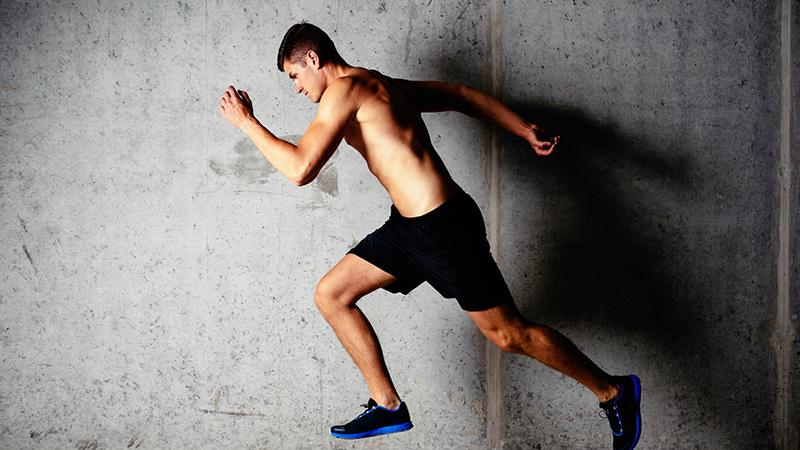 Aim for three sets of 10 to 12 reps.
Get some cardio into your lower body workout with sprints. 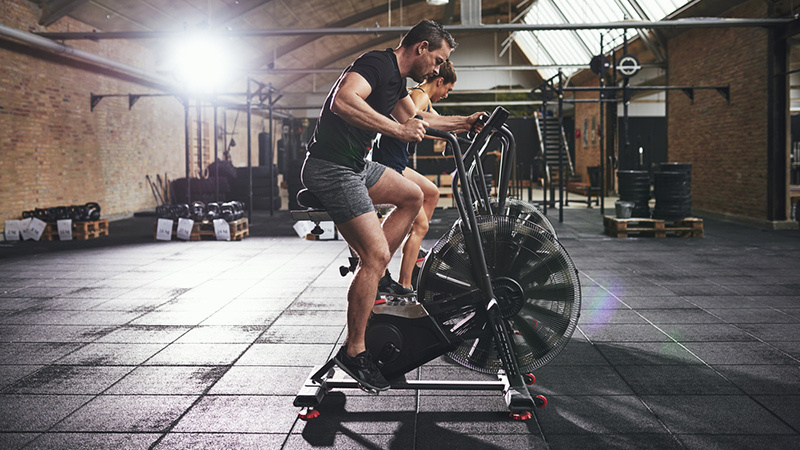 According to research in The Journal of Physiology even 30-second all-out sprints improves oxygen delivery to leg muscles. Leg extensions are a no-brainer inclusion to any lower-body workout. 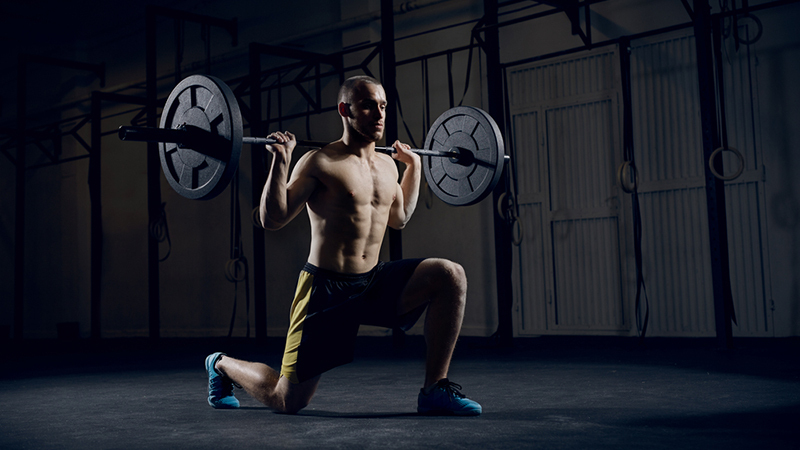 The best way to engage the muscles is to go at 80 percent of your 1RM for three sets to failure, reports a study in the European Journal of Applied Physiology. Aim for 3 sets of 20 reps.
You don’t know squat about testosterone. 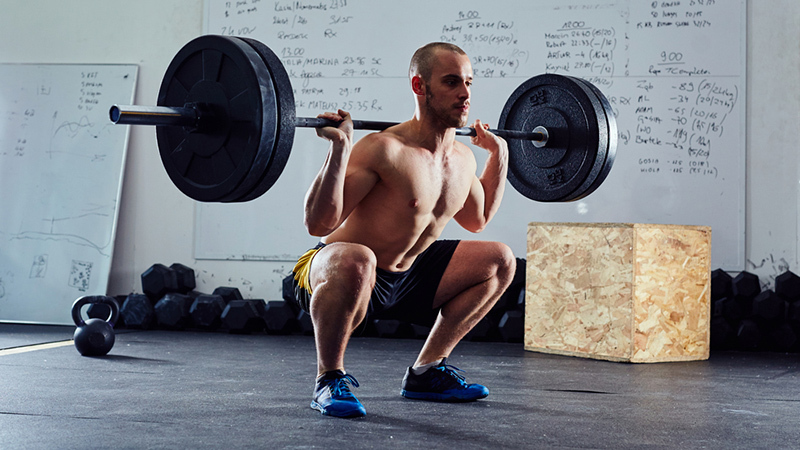 A study published in the European Journal of Applied Physiology and Occupational Physiology had men doing 4 sets of 4 to 6 reps of weighted barbell squats to find that there were significant changes in testosterone levels afterward. Lunges aren’t just for your quads, hamstrings and glutes. It also works your abs, if you do them properly, reports Harvard Health. So make sure you engage your core as you rise up and into lunges. This is one leg move will get you jumping. 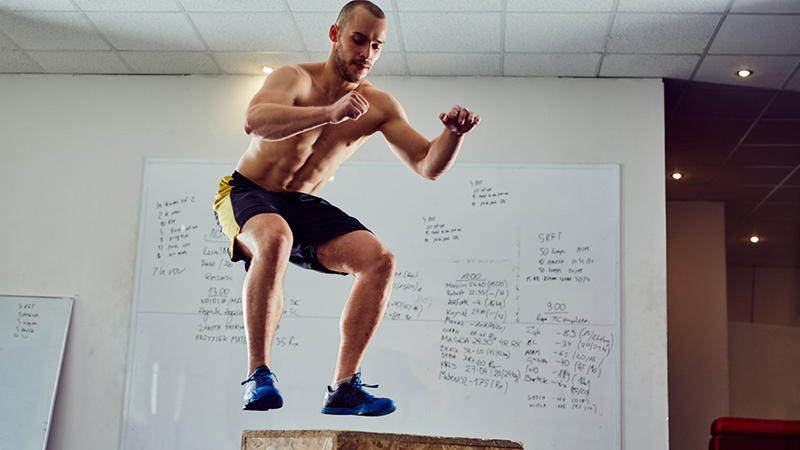 Research published in Interventional Medicine & Applied Science compared the muscular performance of men doing plyometrics on sand versus flat land. It found that land training improved sprint speeds and jump heights, where as the sand plyo had greater gains in agility and strength. Aim for 14 sets of 12 reps.
You know that biking and spinning is great cardio, but it’s also good for strength training according to a study in Journal of Environmental and Public Health. “Cycling at least one hour a week was associated with significant improvements in balance (decision time and response time) and timed single leg standing,” write the researchers. 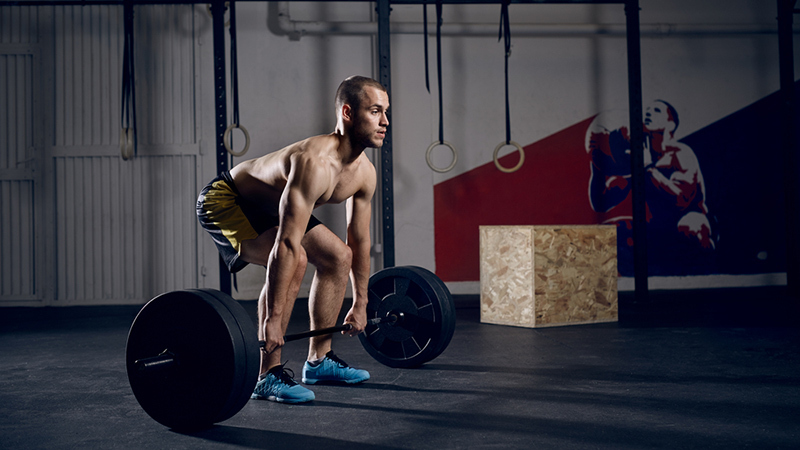 A true gym rat won’t avoid deadlifts. And there’s good reason for that, according to the Journal of Strength & Conditioning Research. When sumo deadlifts were performed along with a kettlebell routine, there were significant improvements in aerobic fitness levels. It’s like doing cardio, without having to do cardio! 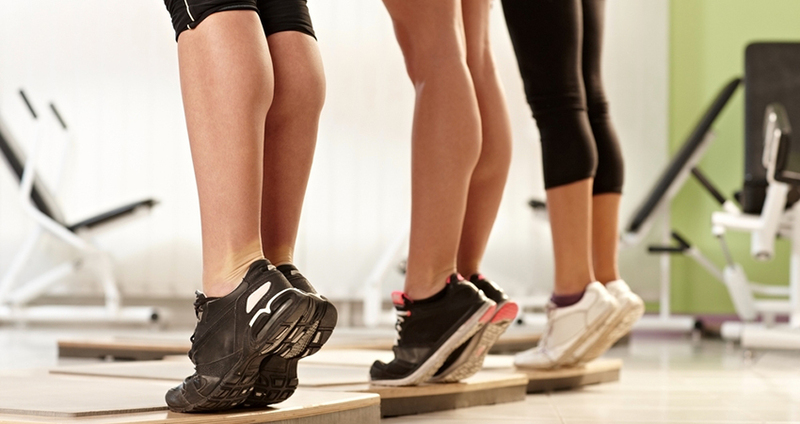 Want to step up your lower-body routine? Start working on one leg, like with one-legged squats. The Journal of Athletic Training reports that they may protect leg ligaments and are safe to use a rehabilitation exercise.